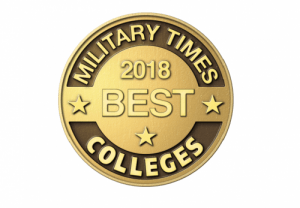 Military Times names Pensacola State College in its Military Times Best: Colleges 2018 list, formerly known as Best for Vets. The rankings are an editorially independent news project that evaluates a comprehensive survey of veteran and military student services and rates of academic achievement along with other factors that make colleges and universities a good fit for service members, military veterans and their families. According to Military Times, the rankings were more competitive than ever this year, as a record number of schools participated in the survey, and less than half made the cut. “Of the hundreds of schools that applied, fewer than half received the Military Times Best: Colleges designation this year. Only the best made the cut,” said George Altman, the Military Times editor in charge of the rankings. 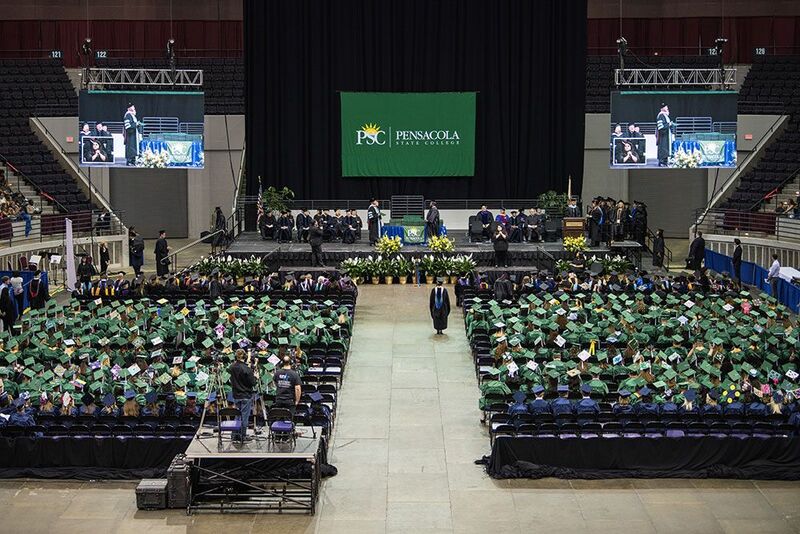 This is the third consecutive year PSC has made the Best Colleges list. “Almost 70 years ago, Pensacola State was founded, in part, to meet the educational needs of veterans returning from World War II, along with our region’s active duty service members and their families. We are proud of our decades of support for military men and women, and we are honored to receive this national recognition,” said PSC President Edward Meadows. Military Times’ annual survey asks colleges and universities to meticulously document an array of services, special rules, accommodations and financial incentives offered to students with military ties and to describe many aspects of veteran culture on campus. Rankings are published in Military Times magazine and at MilitaryTimes.com, ArmyTimes.com, NavyTimes.com, AirForceTimes.com and MarineCorpsTimes.com. For details on PSC veterans’ programs, contact Veteran Services at 850-484-1670, Veterans Student Support Services at 850-484-1971, or Veterans Upward Bound at 850-484-1438.